If you’re like most small business owners, selling is the least favorite part of what you do. What if you knew there was an easy way to make it way more likely that when you call a client or prospect to make a sale, you’d get a call back? According to a study by Reachable, having a personal connection with a prospect – even an indirect connection, such as a mutual acquaintance or colleague – makes prospects five times more likely to call you back. If you have a direct connection with the prospect, the odds get even better: Your chances of getting a return call increase eleven fold. To put this another way: For every 1,000 calls you make, only 345 will get returned if you don’t have a connection. But if you do have a connection, 849 calls will be returned. Overall, Reachable found that personal connections increased sales productivity by an incredible 243 percent. 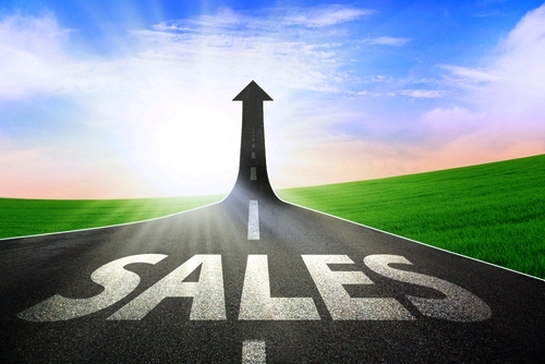 We all know sales is a numbers game, and no one likes making 1,000 calls. But knowing you could get almost all of those 1,000 calls returned makes it a lot more appealing, doesn’t it? So how can you and your sales team create the personal connections that make it easier to make the sale? Start a referral program. Asking your satisfied customers for referrals is a great way to build a pipeline of warm leads with whom you have a connection. Create a system for regularly requesting referrals at a point after you’ve delivered the goods and know your customer is happy with the job you’ve done. Spread the word. Let your colleagues and business associates know you’re looking for new prospects. Keep them up to date on the types of projects you’re doing, areas you’re looking to expand into or new skills you and your team are developing. LinkedIn is an especially good tool for staying top of mind; post regular updates and you can gently let your connections know what you’re doing without being pushy about it. Get out there. Reachable studied all kinds of connections, including those made by social media or email. In my opinion, though – and I bet most of you agree with me – at some point, you need to make the connection in person. We’re all way more likely to respond to someone we’ve actually met, or someone who knows someone we’ve actually met—that’s just the way we’re wired. Get and stay involved in organizations, associations and networking events that bring you in contact with the right kinds of prospects and get results for you. Harness technology. There are more CRM tools than ever out there today (search “CRM” on this site and find reviews of several). Many are robust, yet simple enough for even the smallest businesses to benefit from. Set up a CRM system and (this is key) actually use it. You’ll have a record of your business’s connections that anyone on your team can use.